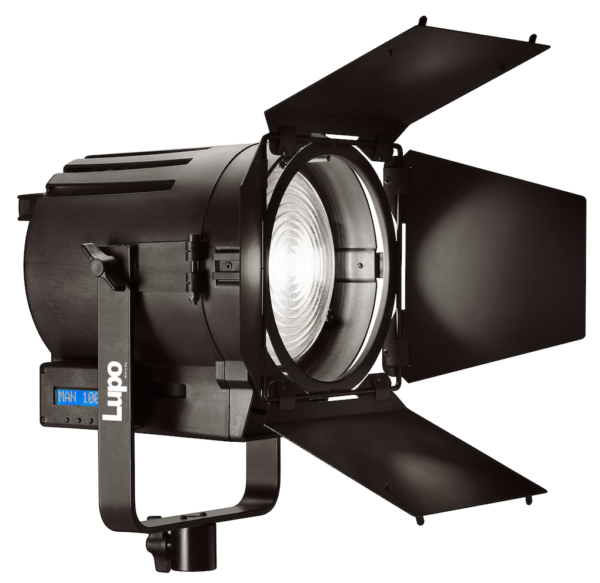 The Fresnel (pronounced fren-el) produces a soft, diffused, round wash light. It can be focused to produce a narrower beam (spot) or a wide beam (flood). The size of the spot or flood is determined by the throw distance and width of the fresnel lens. Barndoors may be added to help shape the light. Fresnels include hanging or floor mount accessories based on request.